The Alberta Sport Development Centre – Central (ASDC-C) is pleased to announce that the ASDC-Central Female Athlete of the Month for November 2017 is Emma Holmes. 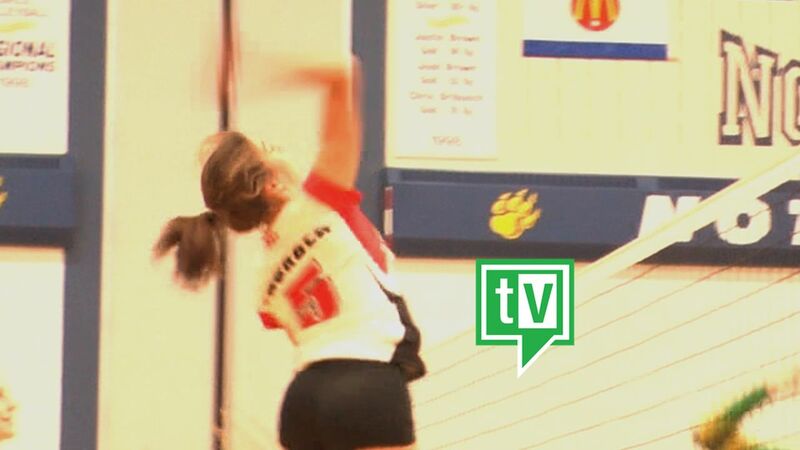 Emma Holmes is a 17 year old Red Deer, AB resident, and Grade 12 student at Lindsay Thurber Comprehensive High School in Red Deer and a competitive volleyball athlete. Emma and her LTCHS teammates just completed their school volleyball season with a trip to Medicine Hat for ASAA 4A Girls Provincials. This represents Emma’s 2nd consecutive and Thurber’s 5th consecutive appearance at ASAA 4A Provincials, and this year the team captured LTCHS’ 6th Provincial Championship and the team’s first Championship since 2006, with Emma scoring the Championship point in the final game! This past summer Emma was a member of Volleyball Alberta’s Provincial Beach Volleyball U18 Team and represented Alberta at U18 Nationals in Ottawa, ON, bringing home a 5th place finish in Tier 2. Emma was also a member of the CAQVC Queens17 team in 2017 and the team captured 3rd at the Volleyball Alberta 17U Provincial Championships. Emma plans on pursuing her education and volleyball in college in 2018 and with her strong work ethic, her undeniable athletic abilities and her training experiences with ASDC-Central she will surely continue to grow, develop and succeed in her volleyball career! For further information regarding this athlete, the ASDC-Central and our programs, please contact Miles Kydd @ miles.kydd@rdc.ab.ca or 403-342-3231. The Alberta Sport Development Centre – Central (ASDC-C) is pleased to announce that the ASDC-Central Athlete of the Month for March 2019 is Claire Booth. Claire Booth is a 15 year old Grade 10 student at Lindsay Thurber High School in Red Deer and a competitive curler. Claire has been curling for 7 years and this past season Claire competed in Alberta U18 Curling Tour, qualifying for Alberta U15 Bantam Championships and was a Red Deer Junior Curling Academy Silver Medallist. Last season Claire and her teammates captured the Gold Medal at Alberta U15 Bantam Championships, won the Red Deer Junior League, and competed in the 2019 Jeux Canada Winter Games Pre-Trials. Claire’s short terms goal for next season to win U18 Curling Provincials and represent Alberta at the Canadian Curling Championships, with a long term goal of competing the Scotties Tournament of Hearts. Claire keeps herself busy with other sports (has played softball for the past 11 years) and enjoys travelling and hanging out with her friends. With Claire’’s strong work ethic, his undeniable athletic abilities and her training experiences with ASDC-Central, he will surely continue to grow, develop and succeed in her curling career! Touting #DriveAnything, Parker Thompson got behind the wheel of the #3 JDX Racing – Hertz – Byers Porsche GT3 Cup Car this weekend for his first experience in fender-to-fender racing action at the 2019 IMSA Porsche GT3 Cup Challenge USA season opener. As an experienced open-wheel race car driver, Thompson’s debut in the series generated significant intrigue about his potential in sports car racing. The final results did not disappoint. At the conclusion of each race, Thompson found himself celebrating on the podium. Third-place finishes in both race one and race two, position him 3rd overall in the GT3 Cup Challenge USA Championship standings. Both races saw hard battles and close quarter racing that is characteristic of the Porsche GT3 Cup Challenge, but race two was particularly close. Thompson’s #3 car took damage on lap four, destroying the front splitter and significantly challenging his pace from that point forward. As a result, Thompson found himself on the defence against sophomore drivers Maxwell Root, and JDX Racing teammate, Jeff Kingsley. Root showed tremendous pressure, often going side-by-side with Thompson on the winding road course, but he never managed to execute a full pass. Root would eventually collide with lapped traffic, leaving Thompson to defend Kingsley alone. The battle between the two young Canadians lasted right to the checkered flag, with Thompson managing to hold his spot and earn the final podium position. With this outstanding result, Thompson is excited about future opportunities to race in the Porsche GT3 Cup Challenge, but remains focused on the Indy Pro 2000 Championship. After winning the opening two races at the season opener in St. Petersburg last month, Thompson holds a significant lead in the Championship points standings. 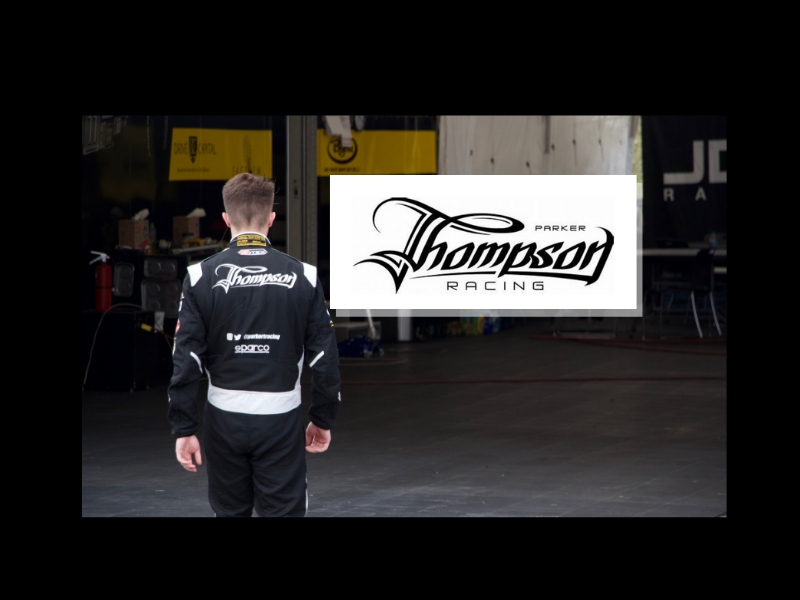 Click below to learn more about Parker Thompson Racing.